UCL has received a Silver Athena SWAN award from the Equality Challenge Unit (ECU), in recognition of the university's commitment to tackling gender inequality in higher education. This follows a recent Bronze award under ECU's new Race Equality Charter for higher education - meaning that UCL is the only university to have both. 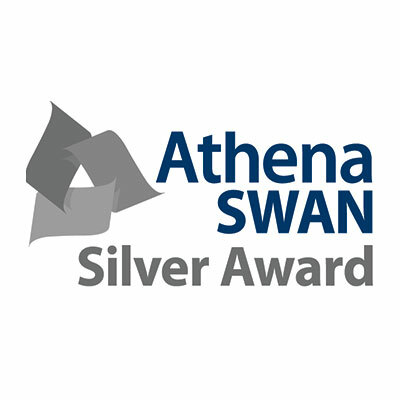 Professor Michael Arthur, UCL President & Provost, said: "I am delighted that we have been awarded an institutional Silver Athena SWAN award. We are one of just seven higher education institutions to hold a silver award and I'd like to congratulate everyone across UCL whose hard work has enabled us to gain an award at this level, as well as to all those departments who have received or renewed awards this year. "We are committed to continuing our work in this area, embedding the ambitious activities outlined in our Athena SWAN action plan. Many of the aims of Athena SWAN are reflected in UCL's new five-year Equalities and Diversity Strategy, to be launched this month." UCL was one of the founding members of the Athena SWAN charter in 2005, and has held a Bronze award since 2006. The charter was established to encourage and recognise commitment to advancing the careers of women in science, technology, engineering, maths and medicine (STEMM) in higher education, but has recently been expanded to include all academic departments and professional services staff. Athena SWAN now recognises work undertaken to address gender equality more broadly. Sarah Guise, Head of Equalities and Diversity at UCL, said: "These awards show that that equalities and diversity really is an institutional priority and there is engagement at all levels of the organisation. At this juncture, it is critical that we ensure that gender and race equality are not seen in isolation and will be encouraging Athena SWAN departments to develop creative interventions which address imbalances across the different equality areas."